The Growing Up McGhee TV show has been renewed for a second season on UP. The family’s first reality series ran for threes seasons as 6 Little McGhees, on OWN, between 2012 and 2014, before being cancelled. UP picked up Growing Up McGhee (and bestowed the new title). The series, from Figure 8 Films, premiered on UP in June 2016. Growing Up McGhee follows Mia McGhee and Rozonno McGhee and their young family. 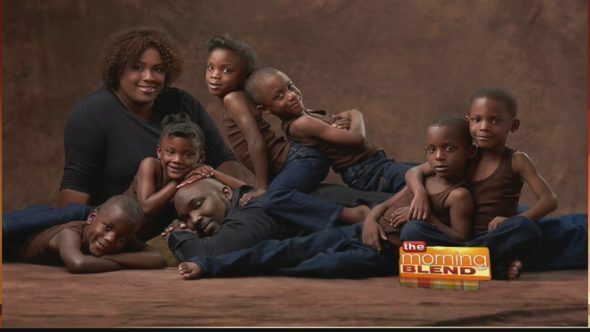 After a decade of fertility problems, in 2010, the couple became the first parents of sextuplets in Columbus, Ohio. Bill Hayes, Kirk Streb, Deanie Wilcher, Mary Wilcher, and Director Matthew Hightower executive produce, with Tori Holder producing. Learn more about Growing up McGhee, from UP. Ro and Mia’s adorable brood each have very distinct personalities. There is Rozonno Jr., who is independent and laid back. He thinks he’s a superhero. Josiah is charming and a class clown. He’s very mischievous and is always smiling as he’s getting into something. Isaac likes to be the center of attention. He loves to make people laugh and loves girls. Madison is the Queen. She runs the show. Elijah is a lover boy. He hugs everybody and anybody. Olivia is the diva and drama queen. She’s always bringing the ruckus. What do you think? Are you a fan of the Growing Up McGhee TV series? Do you plan to watch the second season on UP? More about: 6 Little McGhees, 6 Little McGhees: canceled or renewed?, Growing Up McGhee, Growing Up McGhee: canceled or renewed?, Growing Up McGhee: ratings, UP TV shows: canceled or renewed? I absolutely love this show! I followed them on OWN, now on UP. I’m glad they are still on TV and able to show us their joys and hardships.